On top of that, he is still funded by the Belgian taxpayers. I guess one could interpret King Albert's funding as a "pension", which cares no obligation with it, but many people would still expect him to attend a few events, especially in connection with the memory of his very popular deceased brother. I know King Albert's health is said to be frail, but IMHO it's bad PR for him not to attend . It was slightly unexpected for me because my understanding is that the brothers had an important, reciprocally supportive relationship when Albert was serving as heir to Baudouin. Along with the change (?) to the definition of the Royal Family given in 2013, the order of precedence is interesting. 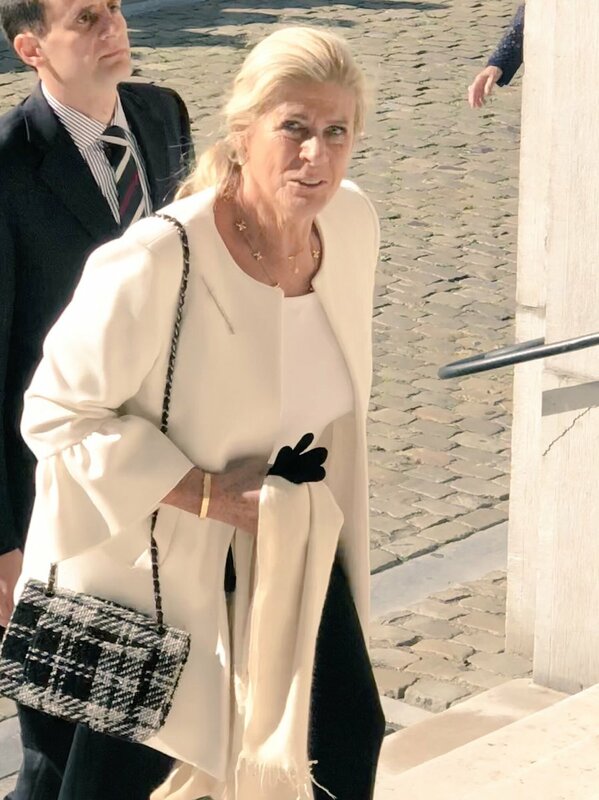 I would have expected the Belgian court to list "Marie Astrid and Charles-Christian" and "Margaretha and Nikolaus" rather than the reversed order (as Marie-Astrid and Margaretha are descendants of Leopold III while their husbands are not), and to give Marie-Astrid precedence over her younger siblings Margaretha and Guillaume. It also seems irregular for Queen Fabiola's great-niece to be given precedence over both Marie-Astrid and Léa. The 25th death anniversary is considered to be one of the big milestone ones. I am rather surprised that King Albert, who seems to revere the memory of his much loved and admired older brother, refuses to interrupt his holiday. But I agree with Duc et Pair that during the years of his reign King Albert II was very much a workhorse. My non-surprise isn't based on the relationship between the brothers but on Albert and Paola's very limited appearances in general and them seemingly prioritizing almost anything else over family obligations. Indeed, I coulfn't make sense of the order either. Is anyone of them maybe a godchild of king Baudouin or queen Fabiola that might explain their illogical position? Albert did what he had to but he has never been dutiful, he would have gladly passed it along if Philippe was married at the time Baudouin died, he has always cared more about his own life and his stormy marriage to Paola than anything else: family, country, etc. He's on a state of permanent holiday yet he can't take ONE day to visit his son in the ICU or to go to the mass for his supposedly beloved brother. Lazy? No and the kingship took his toll on him because he wasn't used to work that hard. Dutiful as his brother and son were/are? No. King Albert feels betrayed by the Belgian Government. 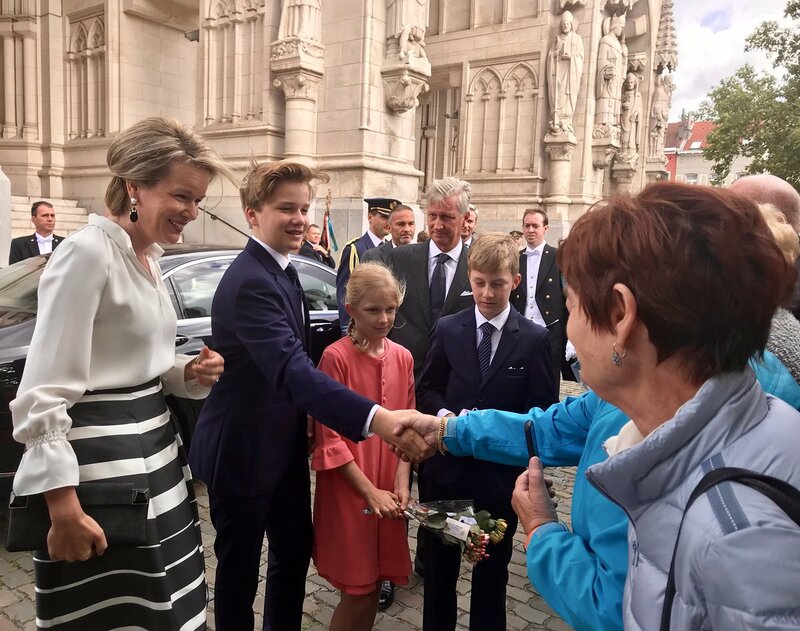 In contrary to what seems to have been promised, the King only receives some 900.000 Euro a year for him and his spouse. That seems a lot indeed, but it was a decrease from roughly 12 million to 900.000 Euro which is undoubtedly a blow. Apparently something similar to Princess Beatrix was in mind (she enjoys 1,6 million Euro plus staff, an office, a all-inclusive pied-à-terre in The Hague, security, transportation, royal flight, royal yacht et al). 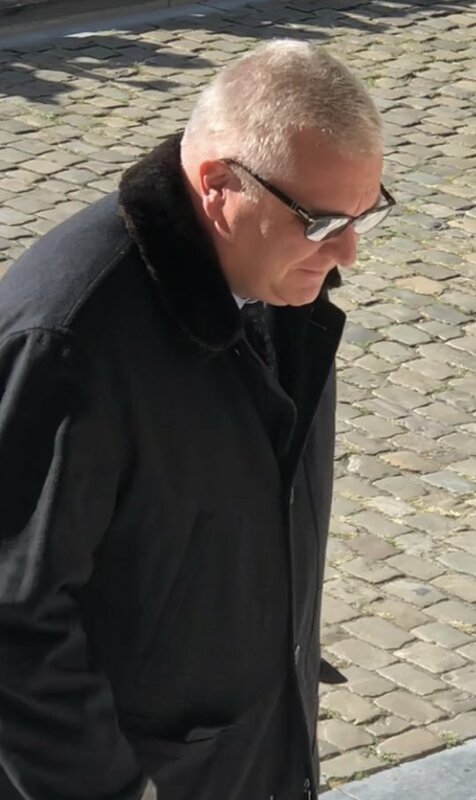 King Albert has to use the 900.000 Euro to pay for the use of the Château du Belvédère (think of the energy bill alone) the staff, the transportation, etc. It will still be enough money in normal eyes, but the King had to sack loyal staff, sell properties and end the use of residences like the Château de Fenffe because of the tightened budget. According magazines and newspapers King Albert apparently feels betrayed since he has abdicated in favour of his son, on base of agreements with the then Prime Minister, M Elio di Rupo. After the abdication M Di Rupo more or less came to the former King: "I am sorry, I can not guide our agreement through the Cabinet and Parliament". The new King Philippe more or less kept himself out of this, reportedly to the frustration of his father. Reportedly King Albert is especially worried about a widowed Queen Paola. What will happen with her? Will she - alike Princess Liliane- be forced to sell properties to make ends meet? Since King Albert has experienced how "reliable" promises are, even by a Prime Minister, out of his own mouth to his own King, he seems not to have confidence that Queen Paola will be left behind in circumstances befitting her rank and status. So the King - as much as possible - "sends his cat" to use a Flemish verb, to show his discontent. That is the theory which has been described in the current affairs magazine Knack, (despite the name a major and serious magazine). It is a pity that apparently in the United Arab Emirates King Albert II is seen as a lazy King. In my optics the former King had a much bigger workload, especially constitutional, political and institutional, than the current King. 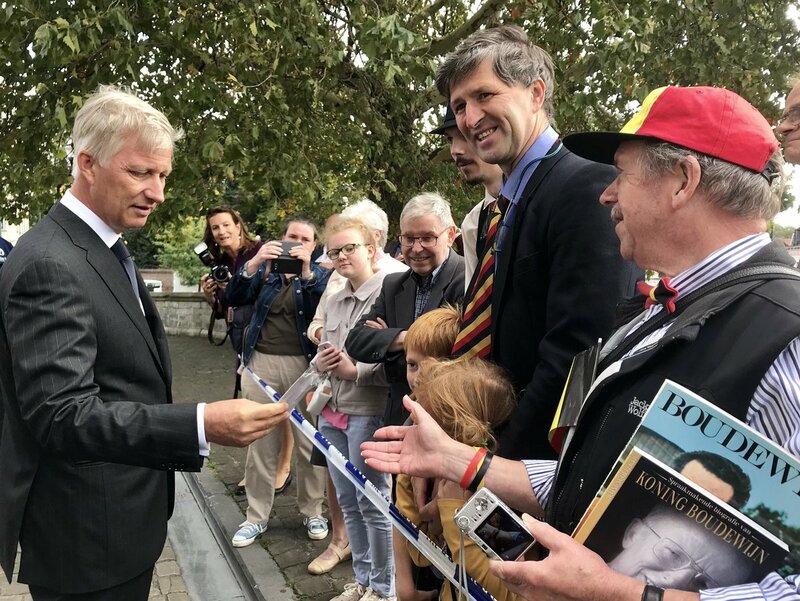 Not that it is Philippe's fault: due to the never-ending State Reforms in Belgium at the cost of the national state in favour of the devolved regions, the current King simply has a smaller role. 80% of the executive powers is in hands of the devolved regions. King Philippe has zero role in these. Not in the formation of the regional Governments, not in appointing regional authorities, not in signing regional Acts and Decrees, nothing. When King Baudouin died, Belgium was more or less an "unionistic federal state". There were three regions (Vlaanderen, Wallonie, Brussels) with more or less limited authorities, especially on language-related affairs like primary education and culture. Under King Albert ongoing qualified parliamentary majorities in both language blocks enforced furtherer devolutions: home affairs, health care, social security, secondary and academic education, finances, trade, infrastructure and transportation, nature and evironment, sciences, sports, welfare, foreign affairs even. 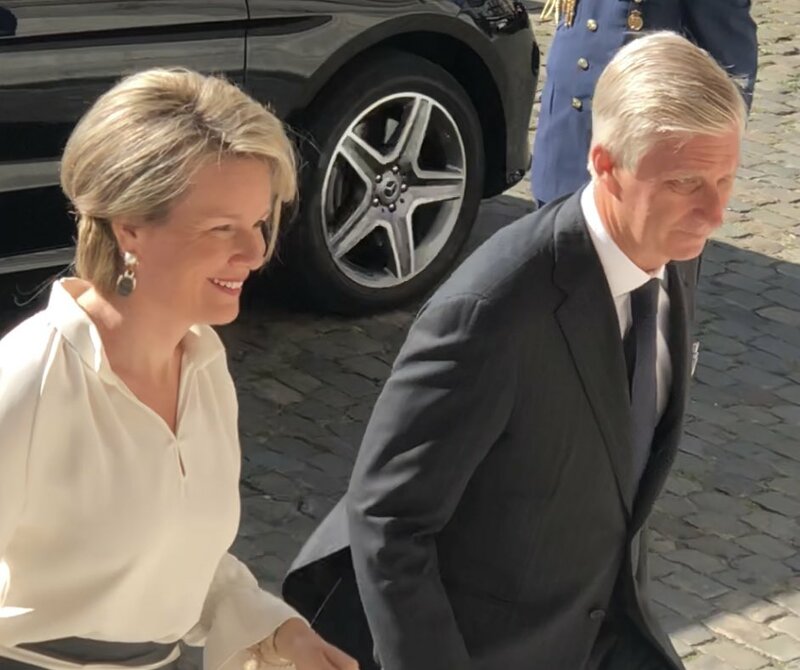 Essentially the national state of King Philippe is crumbled to the bare minimum: Justice, Police, Defense (which is in total shambles), the National Debt (which is astronomic) and Pensions. The only reason the last two has not been devolved is that Wallonia and Brussels can not stand on their own legs without the billions from Flanders to dig their financial holes. In this constellation, the role of King Philippe is substantially different from that of his father. The last one really was a King, still. Alike Beatrix really was a Queen still, so to say. The current King, alike Willem-Alexander, keeps far away from politics and chooses social cohesion to define his kingship. Exactly alike his northern colleague but maybe that is simply the only role left to future kings anyway. Albert II lazy? Really not. Philippe has not half of his father's workload! If you choose to disagree with me based on what's on my profile information, it's on you since you're hellbent on defending a man that has shown time and time again how selfish he is. I NEVER said anything about him being lazy or about his or Philippe's workloads, I am merely pointing out Albert's character, which has always been selfish and uncaring towards everyone (except for Paola in some years of their marriage). Paola has always been selfish as well, there's no denying that either. That's it, the rest is something you came up with. 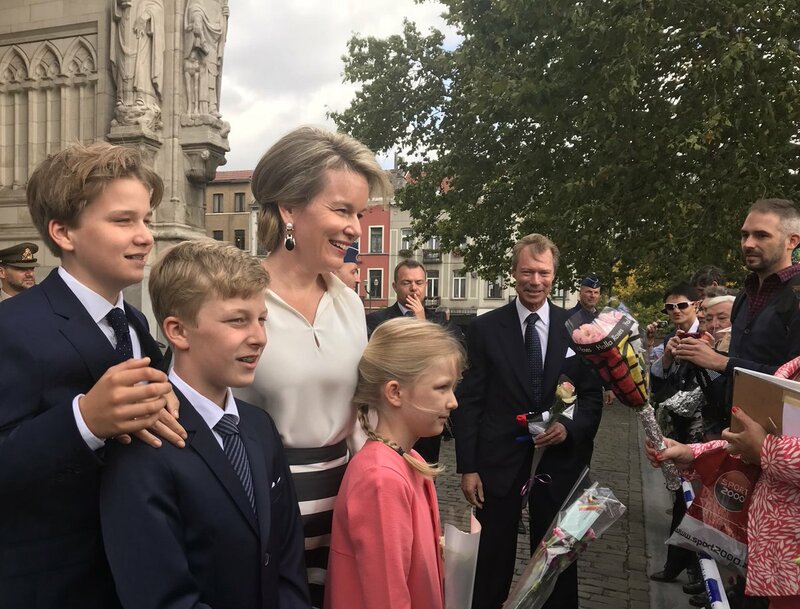 And on that uplifting note we can end the discussion about the character and work ethic of King Albert II and return to the topic of this thread, which is the memorial service for the late king Baudouin. Are there expected to be speeches given in remembrance of the late King at the memorial service? 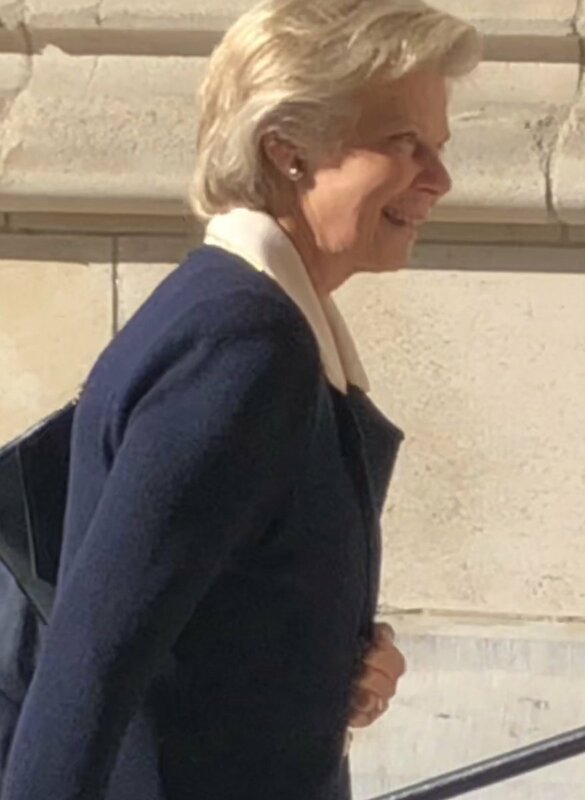 Princess Luisa Maria was added to the list of "Members of the Royal Family" who will be present (ahead of her older sister Princess Maria Laura). 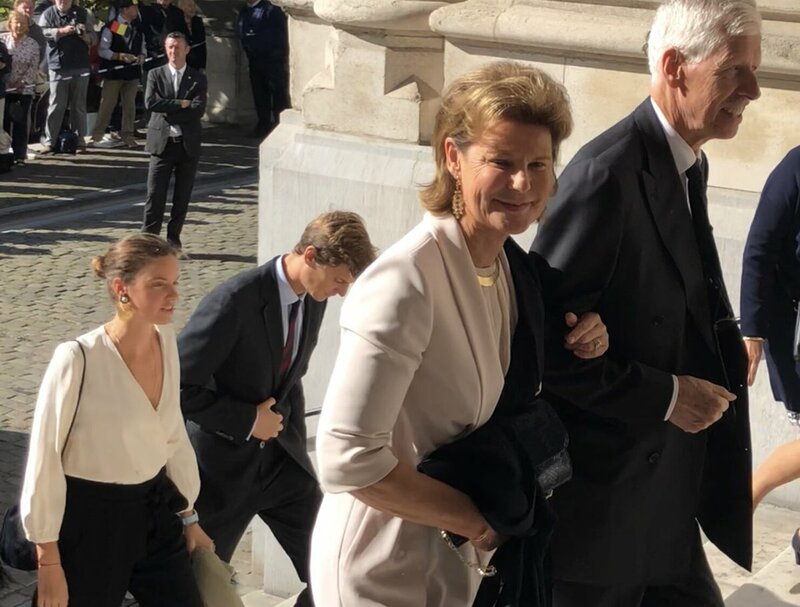 And I suspect the Court misremembered Maria Laura and Maria-Anunciata's ages (thinking they were the younger sisters) and positioned Marie-Astrid and Margaretha of Luxembourg after their husbands as they chose to share their husbands' titles instead of using their own. 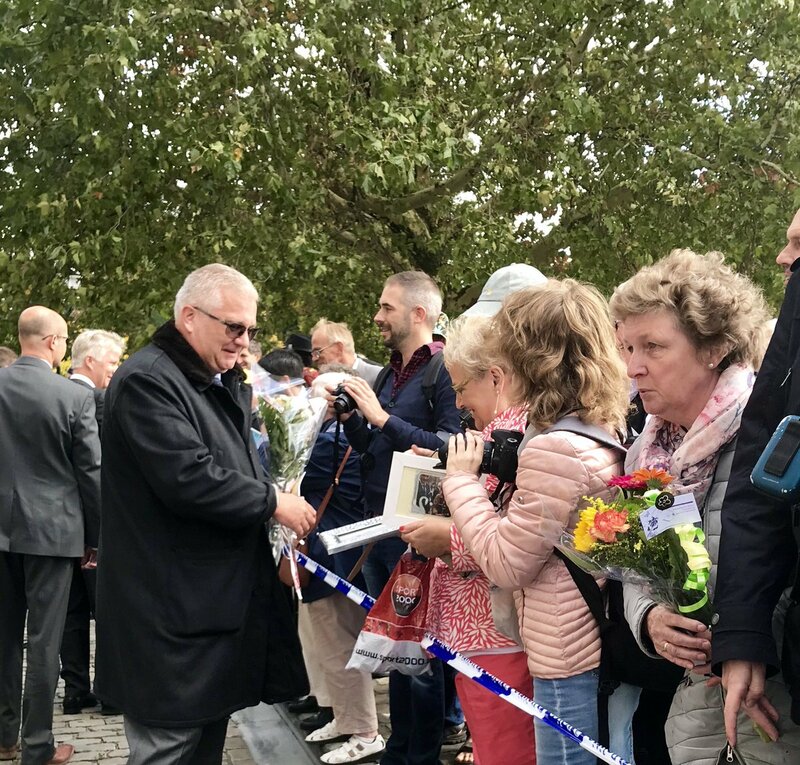 I wonder, though, whether that is the true order of precedence at the memorial service/at the Belgian court. 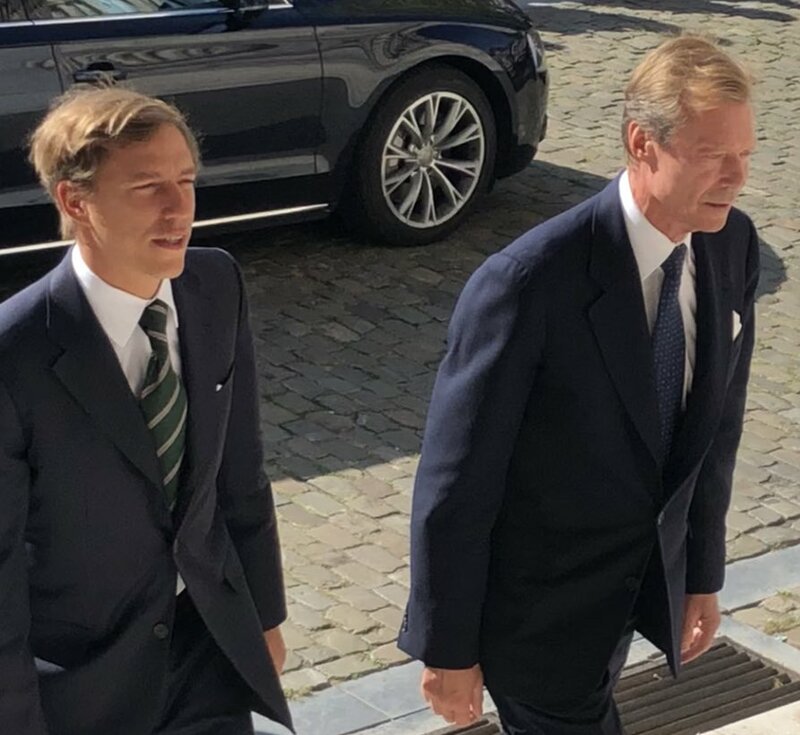 It is unbelievable that King Albert, the only living son of Queen Astrid, is not attending. If he were incapacitated or ill, I would understand it, but not wanting to interrupt his vacation for one day is not an acceptable excuse. And yes, his absence is REALLY noticeable but I guess the family knows by now they can't count on him (or Paola). No Princess Claire and her children? 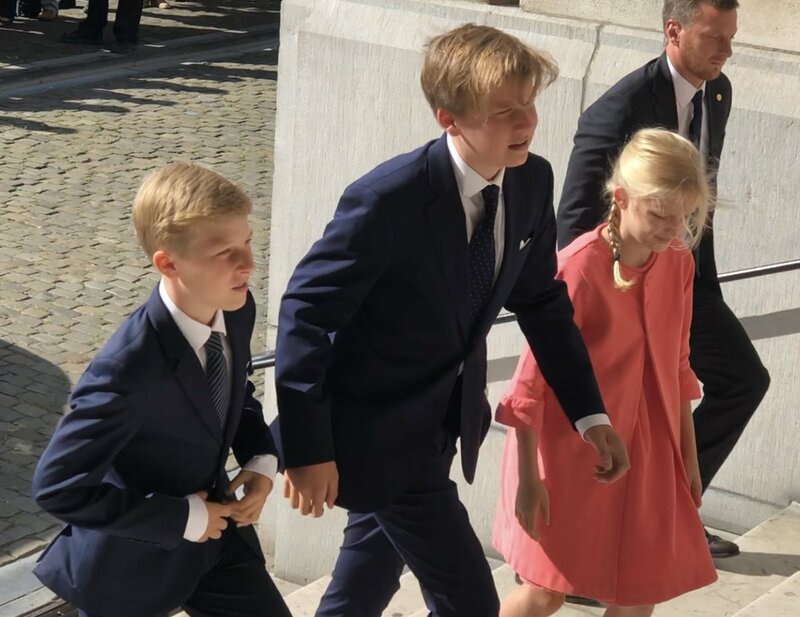 Was it stated why Princess Claire, Prince Joachim (the only adult grandchild of Albert and Paola to be absent), Princess Esmeralda, Princess Elisabeth and Prince Laurent's children are not attending? 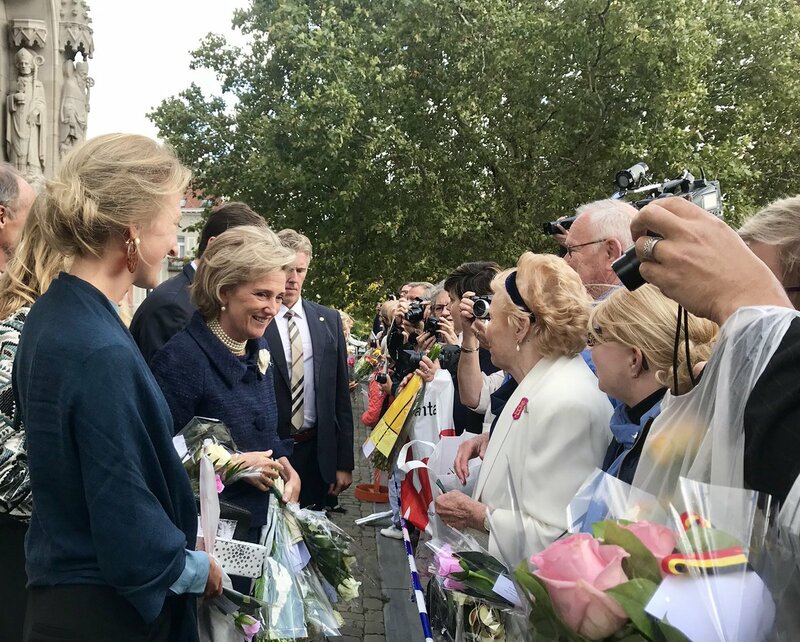 It's not that hard to come up with an explanation for why princess Elisabeth is not attending. She just moved to Wales and is attending boarding school there and not expected to leave the weekend after the first full week. They might have some introductory activities planned. Moreover, she didn't personally know her greatuncle. So while it would have been great if she had been able to attend, it's quite logical that she didnt. Her missing the slightly less important events is part of the consequences of attending boarding school in the UK. Prince Joachim lives currently in South Africa. "He was like a parent to me. He was actually the father of our entire family." Laetitia Maria didn't attend either, did she ? 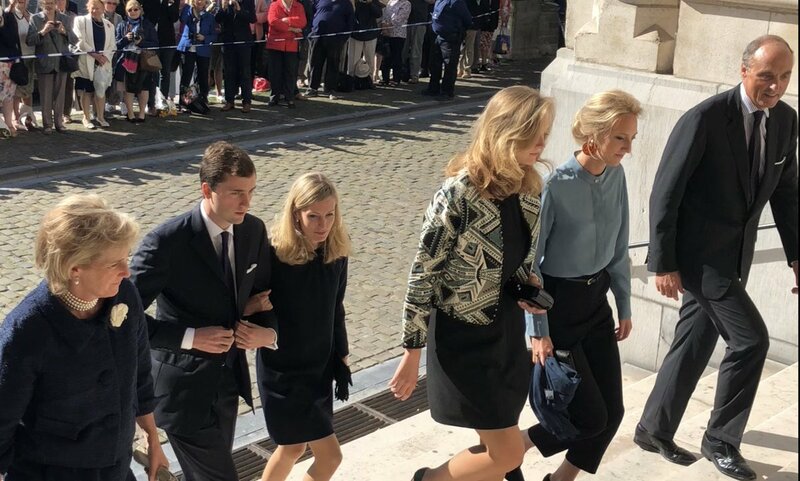 King Philippe's children were the only underage children in attendance. I wouldn't expect Prince Laurent's children to attend, but I was also disappointed not to see Princess Claire there. She is at boarding school in the UK as well. Laurent's childen live nearby.